DWG International has announced the retirement of the PUMP bottle. 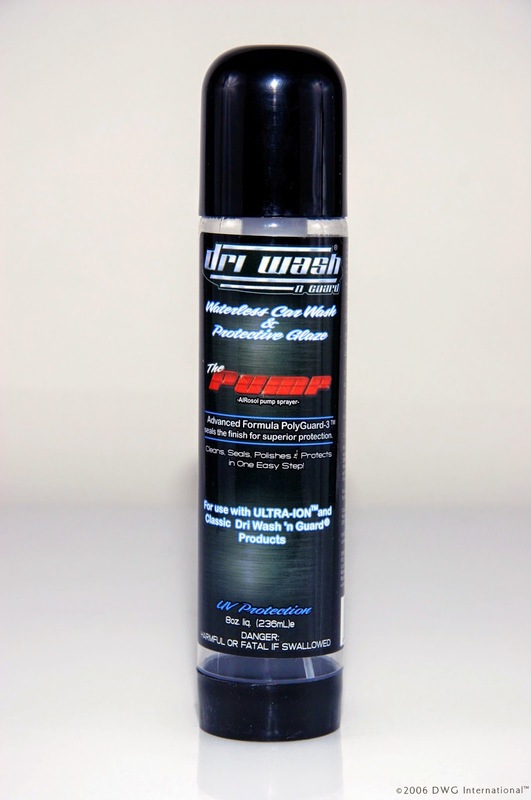 The PUMP was a well known suplement to the DRI WASH 'n GUARD Waterless Car Wash - everyone tends to remember "the waterless car wash the bottle you had to pump up to spray". We were able to find a distributor that sold us 10 cases (120 bottles) and we sold out of them on April 30th. The good news is that DriWash Solutions has been contacted by a previous competitor of DRI WASH 'n GUARD who is now out of business. They had a large lot of pumpers, made by the same company as the DWG PUMP bottle - only they come with a white base and a white pump cap. We've purchased this rather large lot of bottle and will be private labeling them "thePUMPER" - available on www.DriWashSolutions.com and www.thePUMPER.co.